Many people travel for extended periods of time. The trip could last for weeks or months. People who are traveling because of work could be gone for a year. A number of factors need to be taken care of before leaving such as paying all utility bills. Another concern is how to protect personal possession in the home while traveling. Homeowners can use three tips to help keep items safe while traveling for a long time. A safe is one way to protect certain types of valuables in the home while traveling. Modern safes come in a variety of different shapes and sizes from small boxes to cabinets with reinforced concrete walls. A safe will stop a burglar from gaining easy access to items like cash, small antiques and jewelry. It can present enough of an obstacle so that most burglars will simply ignore the safe and move on. It is important to mount smaller safes so that burglars cannot walk away with the unit. This normally means bolting the safe to studs or other parts of the structure of the house. Investing in a home security system with modern features is one of the most effective ways to protect possessions while traveling for a long time. It might even be possible to find a free system for security through certain companies and discounts. A home security system has cameras and sensors that can sound an alarm and contact authorities if an illegal entry is detected. Modern systems allow homeowners to use a computer or mobile device to check on the status of the house. This protects personal possessions, deters criminals and provides peace of mind while traveling. Placing larger items or irreplaceable items into a separate storage unit provides a high level of protection. Criminals are not aware of where the storage unit is located or that there is even a remote location. Homeowners who rent a storage unit should choose a facility that has restricted access. It can also be useful to find a storage unit that has a climate controlled interior. This will make certain that artwork, documents or other items are not affected by changing temperatures and humidity levels. Placing valuable items in a storage unit will ensure that they are safe even is a natural disaster or other unexpected event damages the home. 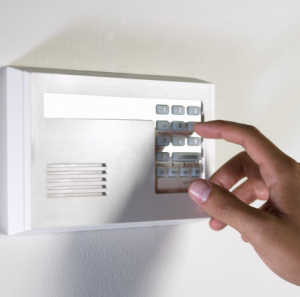 Homeowners will want to inform trusted neighbors about travel plans and any home defenses. A neighbor is a valuable resource who can help to keep personal items safe. Vigilant neighbors can react to alarms and might even notice suspicious people before they reach the house.